During construction, Hopewell-Rocky Hill Road [County Route 518] will be closed to through traffic on a 24/7 basis. Motorists will be directed to use Princeton Avenue/Carter Road, Cherry Valley Road and Province Line Road. 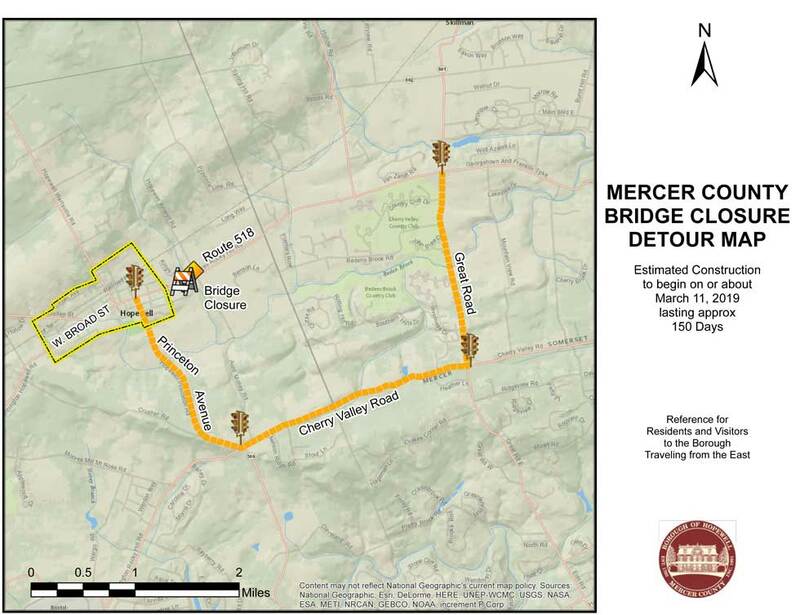 However, local access will be permitted up to the physical road closure point. 1) Go through Princeton down RT 206 South to Elm Rd. Make a right at the light. Follow Elm Raod to the first light make a left onto Rosedale. 2) Follow Rosedale approx. 3 miles towards ETS. To the light at the intersection of Rosedale and Carter Rd. make a right onto Carter. 3) Follow Carter road approximately 3 miles to the light at Mt Rose. Carter becomes Hopewell Princeton Rd. 4) Go through the light – down the hill into Hopewell. 5) At the T intersection make a right onto Broad Street (Rt 518)6) Pass the shopping Center on the left, Brick Farm Market on the right. 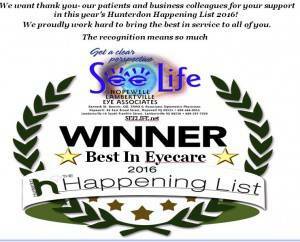 Hopewell Eye Associates is approximately 1/4 miles from the light in the same building as The PeasantGrill on the left. 1) If coming down RT 518 from Montgomery - proceed on RT 518 to the light at Blawenburg - Cherry Valley Country Club. 2) Turn left on to Great Rd and go down approximately 3 miles to Cherry Valley Road. 3) Turn right and go approximately 3 miles to Hopewell - Princeton Ave (Mt Rose). 4) At the light, turn right and follow Hopewell Princeton to Broad Street Light. (RT 518)5) Turn right and pass the shopping Center on the left, Brick Farm Market on the right. Hopewell Eye Associates is approximately 1/4 miles from the light in the same building as The Peasant Grill on the left. 1) Take Rt 206 to Harlingen Road (from the South turn left from the north turn right) onto Harlingen Rd. (Rt 604). 2) Harlingen RD becomes West Dutchtown Harlingen Rd - follow for approx. 3 miles to RT 601 - Belle Mead Blawenburg Rd. 3) Turn left and then 1/4 mile turn right onto Dutchtown Rd. 4) Follow Dutchtown approx 3-4 miles to Long Hill RD. 6) Turn left onto Lindbergh for approximately 1.5 miles to Ridge Rd. then turn left onto Ridge. 10) Turn left at the light - follow Broad Street (RT 518 approx 1.5 miles) pass the shopping Center on the left, Brick Farm Market on the right. Here are directions to our Hopewell, NJ office. 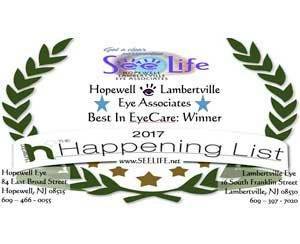 Visit Hopewell-Lambertville Eye Associates for your eye exams and eye care. From Princeton Area: Follow Rt 206 N to the intersection of RT 518 (Wawa) make a left and continue for approx 8 miles to Blawenburg (Great RD & Rt 518). At the light continue straight for 2.5 miles into Hopewell - the office is next to the Amboy bank on the right. From Princeton Area: Follow Rt 206 S to Elm Rd and make a right. Continue straight through the three lights - (Elm becomes Great Rd). Go approximately 6.5 miles to Blawenburg. At the light (Cherry Valley CC) make a left onto Rt 518. Continue straight for 2.5 miles into Hopewell - the office is next to the Amboy bank on the right. If from Lawrenceville: Route 206 North to Elm Rd and make a left. From Pennington - Lawrenceville: Follow Rt 31 N past the Pennington Shopping Center. Continue through the light north until the road splits at Quick Chef. Bare right on Pennington - Hopewell RD. Continue for approx 3.5 miles - pass the Hopewell Valley CC. Rt 518 becomes Broad Street when entering Hopewell. At the chruch - light continue straight through two (2) more lights -pass the shopping center. There is a PNC bank on the right followed by Amboy Bank. Our office is located between the Amboy and the PNC in the same building as Hunterdon Health Medical. From Flemington and Ringoes: Follow 202 South to Rt 31 South. Follow Rt 31 S for approximately 4.5 miles to the intersection of Rt 31 and Rt 518. Make a Left onto Rt 518 (Hopewell Valley Bank) and continue for approx 3 miles into Hopewell. At the chruch (light) bare left and follow Rt 518 (Broad Street) through two (2) lights past the PNC bank on the right followed by Amboy Bank. Our office is located between the Amboy and the PNC in the same building as Hunterdon Health Medical. From New Hope - Lambertville area: Follow Rt 518 towards Hopewell for approximately 8 miles to the intersection of RT 31 (Hopewell Valley Bank). Cross Rt 31 and continue for approx 3 miles into Hopewell. At the chruch (light) bare left and follow Rt 518 (Broad Street) through two (2) lights past the PNC bank on the right followed by Amboy Bank. 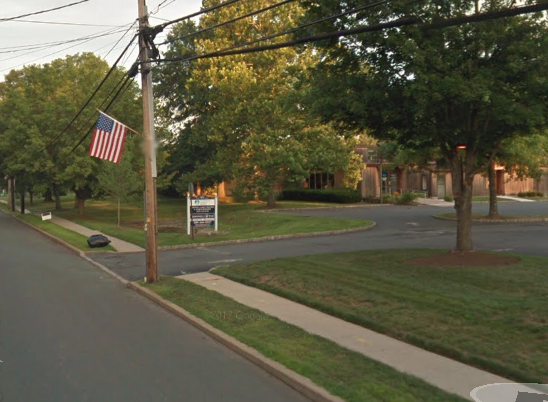 Our office is located between the Amboy and the PNC in the same building as Hunterdon Health Medical. 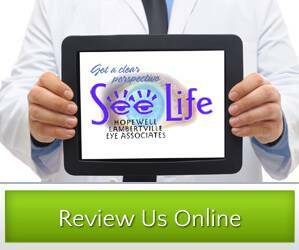 24/7 Emergency Care at 609-213-5008.